The Merry Masters X-Mas event is on! 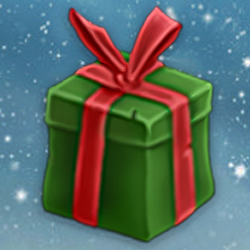 Every day leading up to Christmas, there will be a free item offer in the Daily Shop Offers, in a better quantity and quality than our regular free offers. Make sure to check back every day so you don't miss out on free Shards, Rubies, Gold and Cards! I wish more people where playing. Do some better marketing, I'd suggest.